In the last local weekly, a letter to the editor called Contrary to the Scientific Method questioned a column I wrote showing how empirical data falsifies AGW. He implied the so called 97% consensus and the many papers published on global warming instead prove the theory, and this constitutes the ‘scientific method’ and trumps the data I presented. In sum, one of the most visible climate papers of recent years is not sound. Whereas previous critique could be interpreted as a lack of competence (Tol, 2014a), the later data release suggests that Cook et al., perhaps inadvertently, worked towards a given answer. This reflects badly on the authors, referees, editors and publisher. It also weakens the activists and politicians who cite Cook et al. in support of their position. The scientific method does not involve a poll or vote by scientists (that is in the realm of politics where you vote on a law), but validation of a theory with facts, which is what I have done for four decades and in my local posts. The famous Cornell Nobel prize winning Physicist Richard Feynman explained the scientific method. The way you validate or invalidate a theory in the scientific method is with empirical evidence. In many of my posts, I showed empirical evidence that falsify virtually every claim made based on the theory. As for the 97% consensus claim, that was shown wrong here and here. In fact in a recent Forbes article, it was reported only 36 percent of earth scientists and engineers believe that humans are creating a global warming crisis, according to a survey reported in the peer-reviewed Organization Studies. By contrast, a strong majority of the 1,077 respondents believe that nature is the primary cause of recent global warming and/or that future global warming will not be a very serious problem. 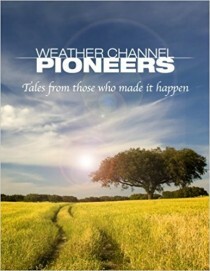 The survey results show earth scientists and engineers hold similar views as meteorologists. Two recent surveys of meteorologists (summarized here and here) revealed similar skepticism of alarmist global warming claims. 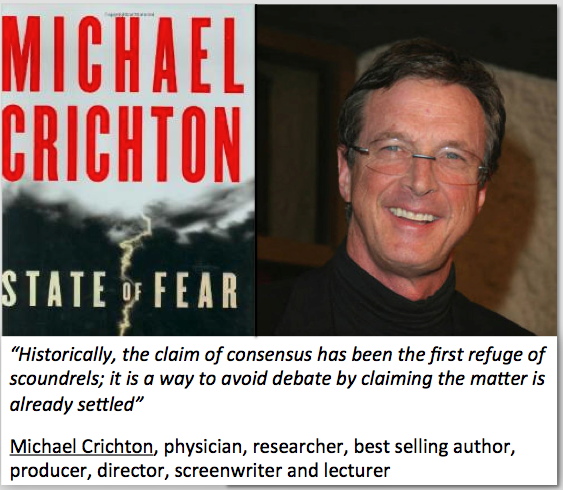 Michael Crichton, famous author often about claims of a consensus. 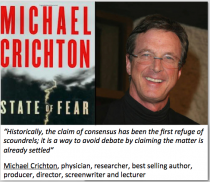 Crichton continued “Whenever you hear the consensus of scientists agrees on something or other, reach for your wallet, because you’re being had. Let’s be clear: the work of science has nothing whatever to do with consensus. Consensus is the business of politics. Science, on the contrary, requires only one investigator who happens to be right, which means that he or she has results that are verifiable by reference to the real world. In science, consensus is irrelevant. What is relevant is reproducible results. The greatest scientists in history are great precisely because they broke with the consensus. Thousands of papers listed supporting global warming is no surprise given the $165B given to universities and researchers (Universities, NOAA, NASA, national labs) to produce papers focusing on what would happen IF the climate models were right. Even with that, there were 1350 peer review papers questioning global warming and1000 papers believing cooling has begun. Scientists are aware of the failures too and now have proposed 54 excuses as to why their models have failed. The real scientific method would have them throw out the theory and come up with a new one. But the fat cats in government, industry, environmental groups and universities that have benefited from this public scare would have too much too lose so they hang on. We will pay the price this winter - especially the poor and middle class, reeling from the ACA and the other bad national and state energy and environmental policies already implemented.